When it comes to powerful, multi-needle embroidery machines, Brother set the standard with their Entrepreneur® PR650e 6-needle home embroidery machine, the first generation of state-of-the-art multi-needle embroidery machines. 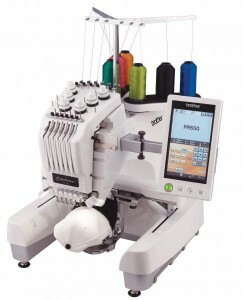 Boasting an array of features and functions that make it the first word in multi-needle embroidery for profit-minded professionals and passionate hobbyists alike, the PR650e offers everything you need to take your embroidery projects to the next level. 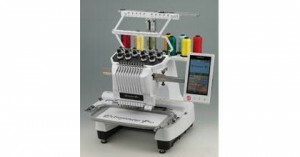 The PR650e combines easy-to-use features with innovative technology to deliver an affordable yet feature packed multi-needle machine for embroidery enthusiasts and budding entrepreneurs. Expanded library of 25 built-in designs; 25 size-adjustable fonts; Greek, Appliqué, Floral and Renaissance alphabet designs, plus frames, decorative alphabet designs and 60 BONUS designs on included USB memory stick. NEW! Built-in Link-Ready function. (Optional PE-DESIGN® NEXT software required).